Nintendo of America has announced a new Nintendo Switch bundle that you can buy from next month, perfect for those looking to pick up the portable home console as the holidays fast approach. 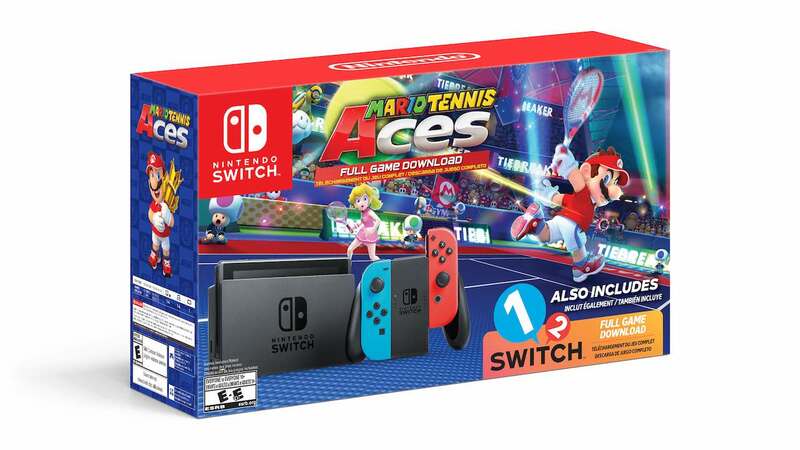 The bundle contains a Nintendo Switch console with Neon Red and Neon Blue coloured Joy-Con that comes with digital download codes for Mario Tennis Aces and 1-2-Switch. Exclusive to Walmart in North America, you can expect to find the Nintendo Switch bundle in stores from Wednesday 5th September where it will be priced at $359.99. It is surely part of Nintendo’s efforts to maintain the strong momentum that is behind the portable home console, with Super Mario Party, Pokémon: Let’s Go, Pikachu! and Let’s Go, Eevee! and Super Smash Bros. Ultimate to release in the coming months.